When someone presents you an opportunity to escape the cold icy temperatures for a destination that is known for sun and warm temperatures that require no parkas, no sweaters, and no boots – unless they go with your outfit – you say HECK YA! That’s what I said when Sunwing offered me a day trip to sunny Dayton, Florida. I tucked my parka in my carry-on (yes I took my carry-on) and swapped it for my leather jacket right before I boarded the plane for a direct flight to Daytona. You heard me right, direct flight – no stopover, no connecting flight, just straight to Daytona! This trip was a huge deal because currently there are no direct flights to Daytona from Toronto. Starting January 2019, Sunwing can fly you over to Daytona from Toronto in a little over 2 hours. 2 hours, that’s more than enough time to change out of your winter outfit for a pair of shorts and tee right before you land in double-digit temperatures. And I’m not kidding, as soon as we made it to our first stop I had to ditch my leather jacket! 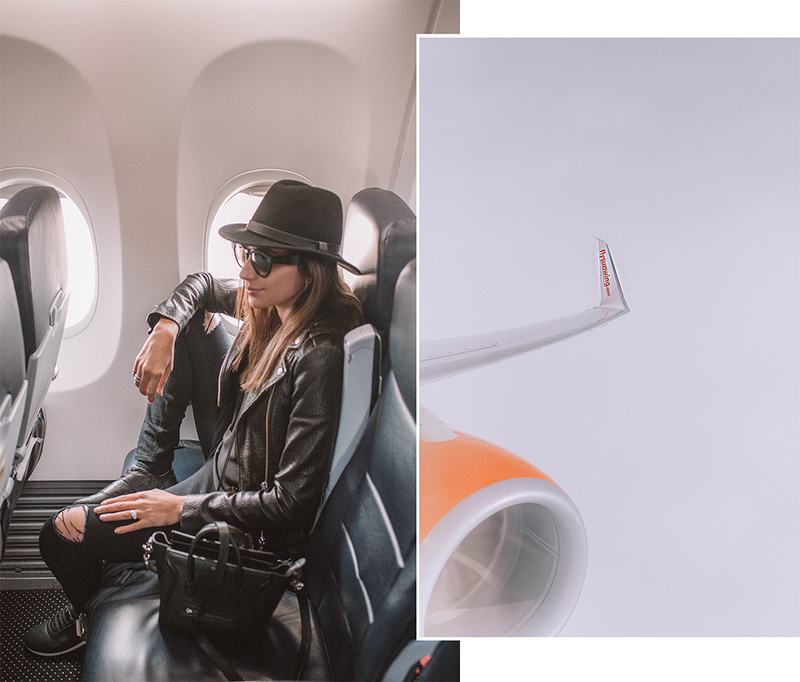 As soon as we left the airport, the folks at Sunwing took us to our first stop of the day – the Hard Rock Cafe & Hotel. This hotel is absolutely gorgeous! The staff gave us the most wonderful and cheerful welcome, and one thing was obvious – they love the hotel and their city a great deal and I can tell why. The Hard Rock Hotel in Daytona Beach has panoramic ocean views, modern luxury decor, and it hugs the famous Daytona Beach. Because we had a tight schedule, I got a chance to view the beach while we had our lunch. But, the temptation to remove my sneakers and run into the sand and feel the crystals between my toes was strong. 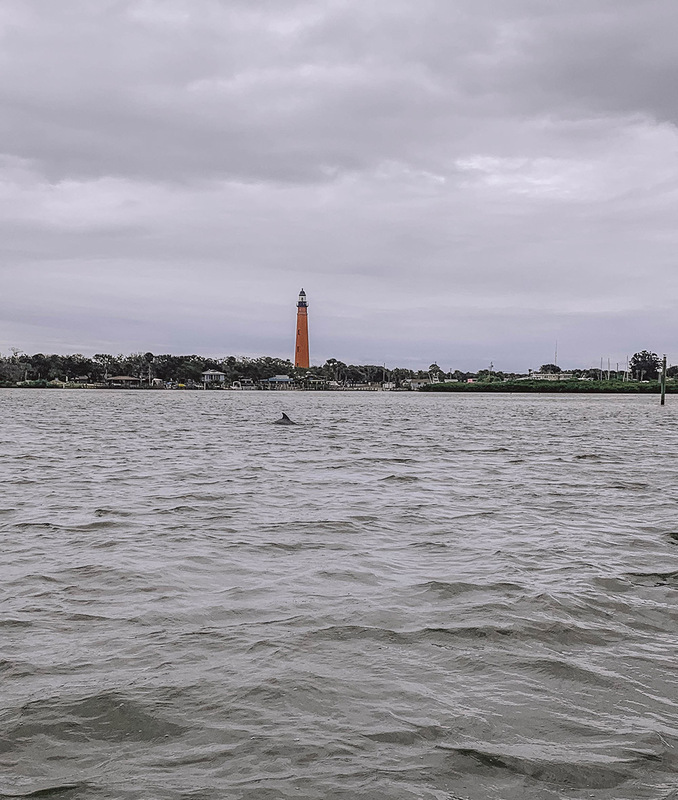 Next stop, head off for a private boat tour and learn more about Daytona and catch some dolphins, manatees and a few wildlife attractions. Now I have never seen a manatee in my life, so I was stoked to catch a few in their natural habitat. Sadly we didn’t see any but the pod of dolphins frolicking in the Halifax River more than made up for it. If you saw my stories, you joined in the fun catching a few dolphins breaching to the surface while our guide told us about the variety of types of dolphins they have seen in the area. 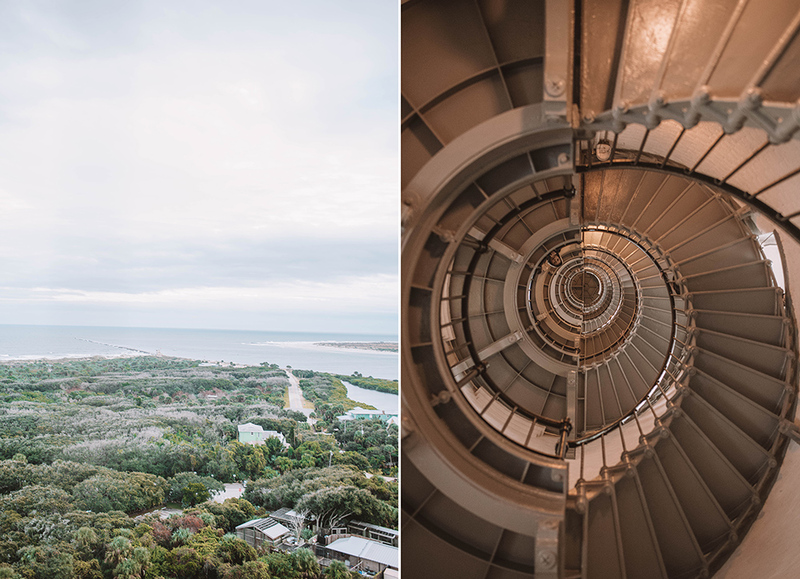 After the boat ride, we headed off to the Ponce De Leon Inlet Lighthouse that gives you the most insane view of Ponce Inlet. 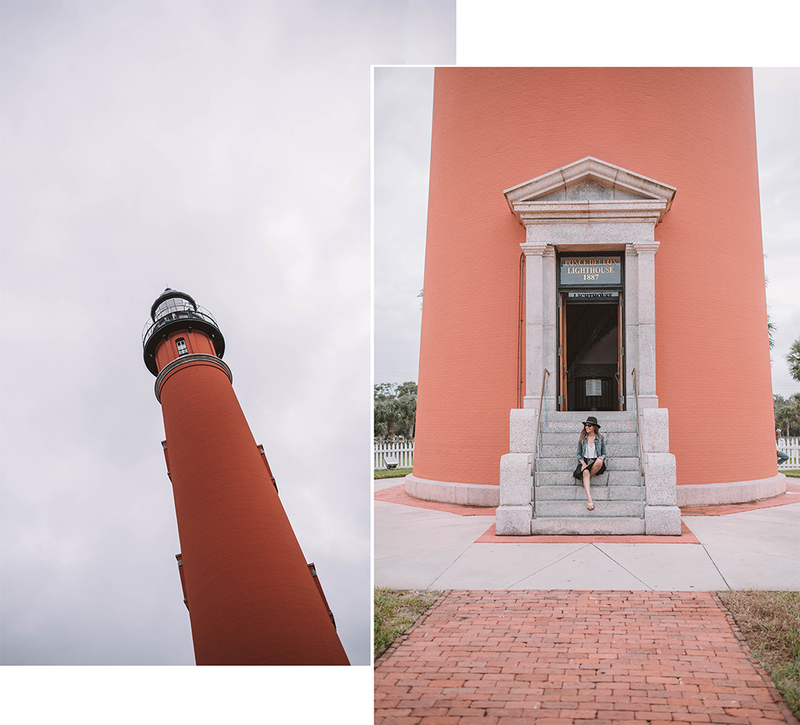 Plus the lighthouse is a photographer’s dream come true if you don’t believe me check out the pictures here! Next stop before we go to the airport was, rooftop dinner right by the Speedway…until we made a detour to catch the most beautiful sunset I have ever seen in North America. We stopped by Wilbur By The Sea for a few minutes to snap these photos. Amazing right? 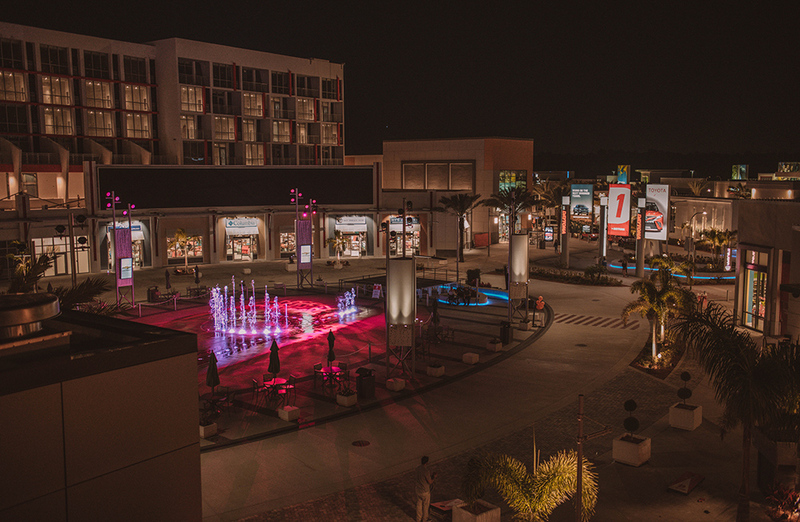 Last stop, rooftop dinner at the cutest outdoor mall in Daytona that offers their visitors a lot of fun and games such as huge checkerboard, a cute little park and fountains that light up! Plus, it’s right by the Speedway! I can tell you I was dreading to finish my meal at this beautiful rooftop bar because I knew it would mean we would have to make our way to the airport and head home. I missed my babies a great deal but I secretly wished my husband could get on a plane and bring them over because I love the energy and the people of Daytona. The folks are incredibly sweet and welcoming, and the weather is perfect to put you in a happy place. So if you want to escape from the cold and winter temperatures, no need to go overseas. Head on south for a quick two hour trip on a plane and head on to Daytona. Best part, as of January Sunwing is offering direct flight to this beautiful sunny destination. So leave your jacket, your sweater and I’m leaving my leather jacket behind the next time I come to Daytona. 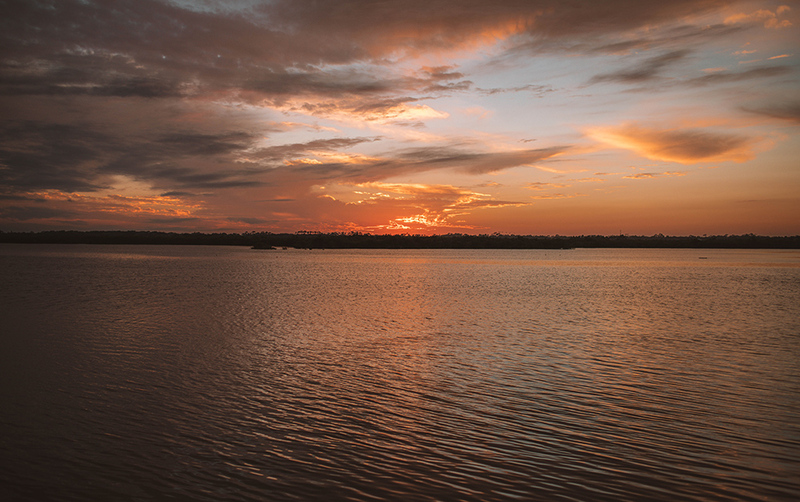 Psst, flights to Daytona start as low as $279! More details here! Disclaimer: Sunwing offered me a trip to Daytona in return for my honest feedback.